Join Dr Culbreth and guests, Ms. Crystal D. Mayo,Mrs. Loretta Moore and Ms Kim-Marie Walker, authors and contributors to “Our Voices Our Stories: An Anthology of Writings Advancing, Celebrating, Embracing and Empowering Girls and Women of Color.” Discussion topics will focus on how the voices of girls and women of color are celebrated through poetry, essays, plays, novels, fiction, non-fiction, short stories and other writings. 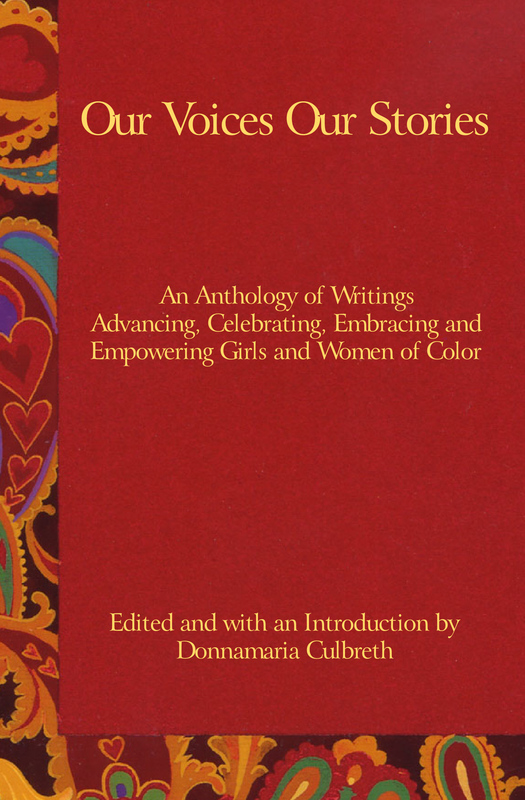 Topics also include the healing power of the written word, finding your voice and yourself through writing, passion, purpose, and encouraging girls and teens to write. Wednesday, May 9, 2018 at 8:00 Pm EST. Listen live or call to ask questions, comment or share: 323-642-1562. 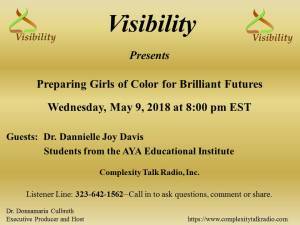 This episode of Teen Talk will focus on answering the questions: How are we preparing our girls for brilliant futures? Topics include: education, learning, knowledge, skills and abilities, student success, studying, summer activities, defying negative stereotypes, college/career preparation, personal time, racial bias in school discipline, families, reality, marginalization, school and discipline, volunteering, etc.